In the lower park of the park, there is a beautiful stream crossed with wooden bridges. At the top, there is a pond with a waterfall that feeds the stream down into the large lake below. 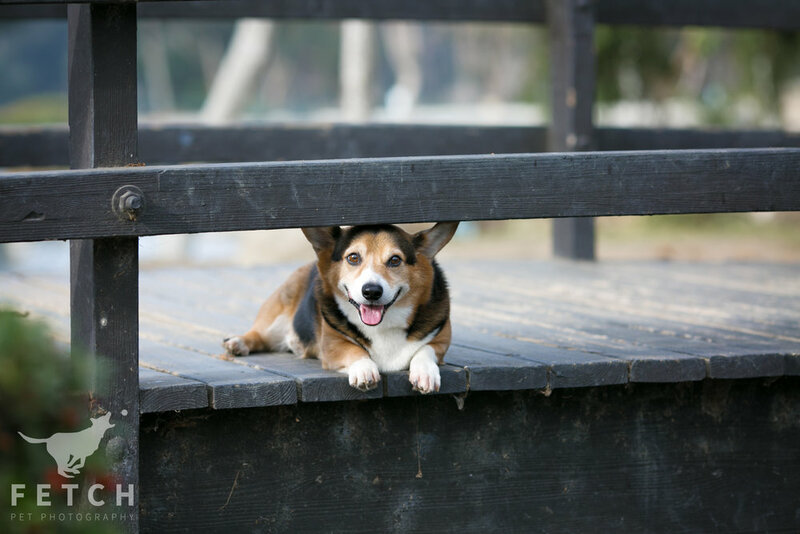 I loved the the textures of the rock-lined pond and weathered, wooden bridges in my dog portraits. Moving a bit further up the park, I found a meadow tucked away on the edge of the park. Due to the recent rains, the area was teeming with new grasses and flowers. The soft foliage framing my photos was a lovely contrast to the harsher backgrounds I used earlier in my dog photography session. At the top of the park, there are views of sprawling Los Angeles in a more savannah-like environment. A few trees punctuate the scrub-covered, sandy hills. I really liked the tonality of the photos of Maurice in this location because the warmer, earthy tones complemented his fur. 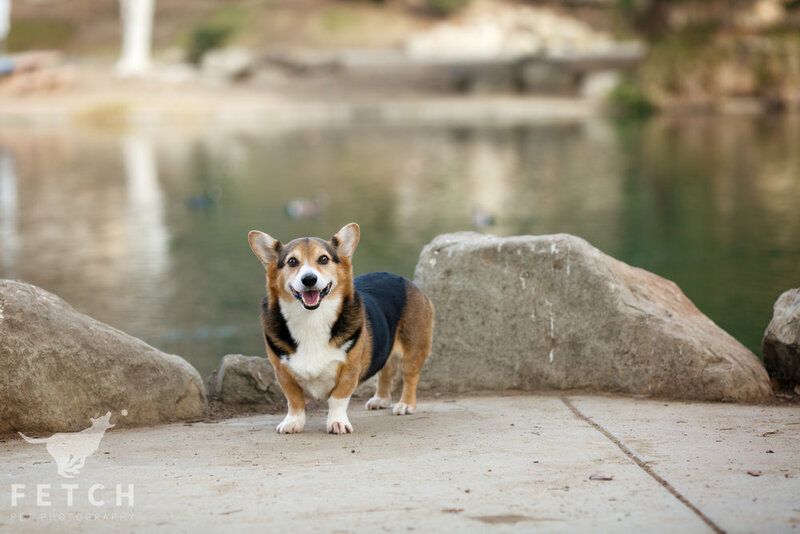 Overall, Kenneth Hahn is a great, centrally-located place for a dog photography session. 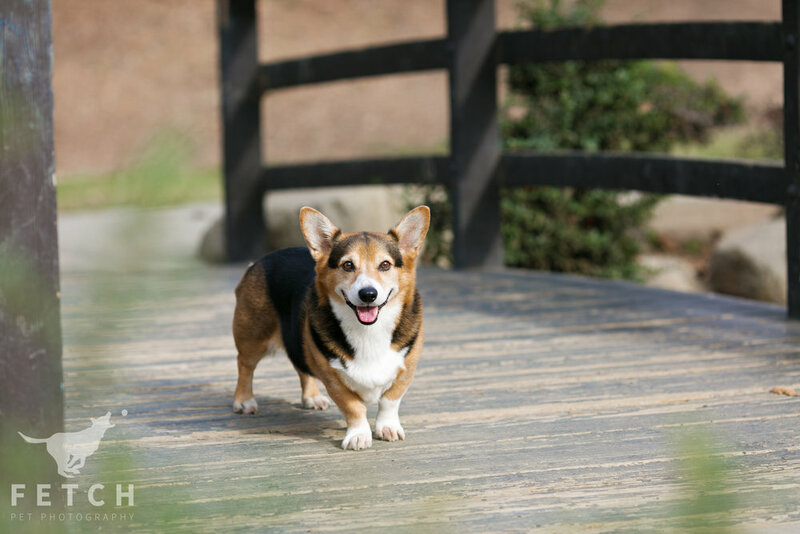 The variety of locations in one easily accessible place makes it a versatile location for all different types of dogs. 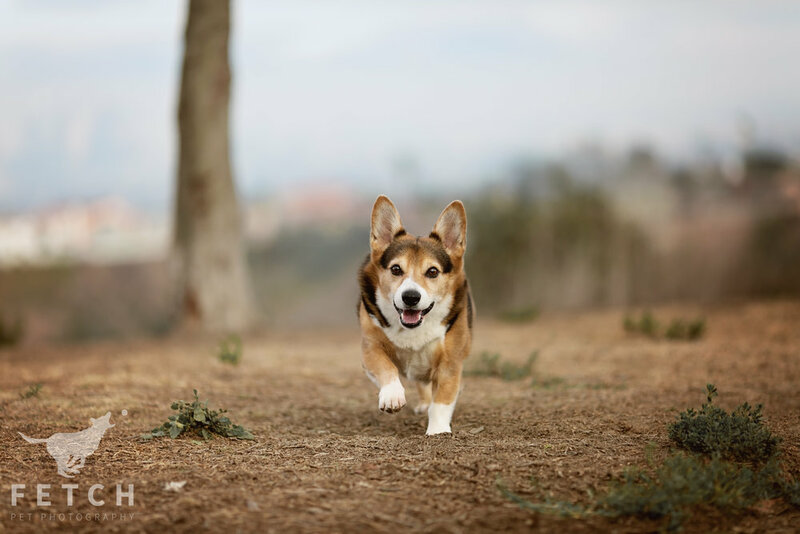 I'm looking forward to doing some lifestyle dog photography sessions here this spring!